NowLow - Presenting products from many online shops with Free Shipping Worldwide. 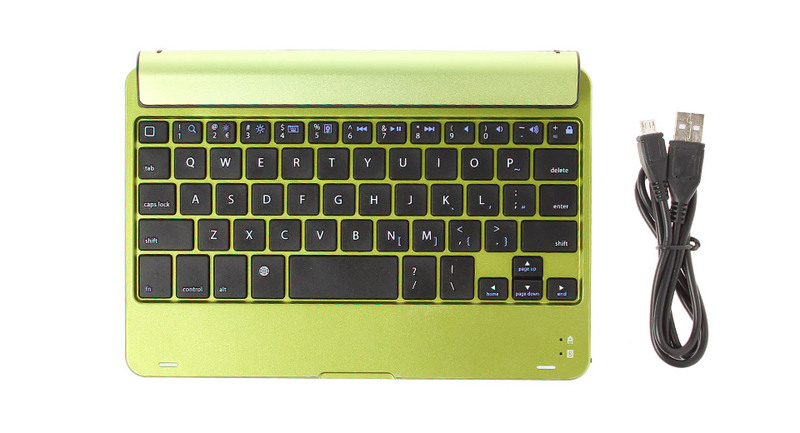 Welcome to NowLow Bluetooth Keyboard World. Results 1 - 10 of 469 items found. Buy this Bluetooth Mini Wireless Keyboard + Adjustable Stand Holder for iPad / New iPad with low price and good quaility. tmart.com store provides cool gadgets, cell phones, consumer electronics, LED flashlight, car accessories, phones accessories, computer accessories, games accessories, holiday gifts and security camera. This BK3001 wireless Bluetooth keyboard is ultra-thin design and is the perfect accessory for your tablet PC or Smartphone. It is convenient to carry anywhere with a compact size. Buy this Detachable Bluetooth Keyboard with PU Leather Protective Case and Stand for iPad Air Silver with low price and good quaility. tmart.com store provides cool gadgets, cell phones, consumer electronics, LED flashlight, car accessories, phones accessories, computer accessories, games accessories, holiday gifts and security camera.